Let’s say you are a marketer in Hong Kong. You do a lot of print media ads but you have no clue how your campaigns are doing. In such cases, a handy tool to use on your print media is QR Codes. They allow your audience to engage with your marketing material. They can see websites, videos, and online forms. The question is – how are QR Codes currently used in Hong Kong? These square-shaped barcodes are quite popular in the US, Japan, China, and the Middle East. And statistics show that QR Code usage is rapidly soaring. In July 2016, McDonald’s launched their ‘most technologically advanced store’ in Hong Kong. To mark the opening, McDonald’s ran a 3-day retro campaign. 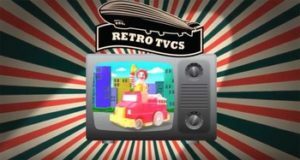 In this campaign, McDonald’s broadcasted their old commercials on television and radio. Another aspect of the campaign was an interactive toy museum at the City Plaza. The toy museum featured over 1,000 McDonald’s toys, some of which dated back to the 1980’s. To make the museum more interactive, various counters featured QR Codes. Customers could scan the QR Code to win souvenirs and redeem discount coupons. 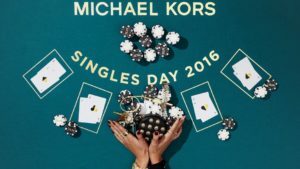 On Nov 11, 2016, fashion retailer, Michael Kors (MK) partnered with WeChat (Weixin) to give out discount coupons for Singles’ Day. Customers could scan a QR Code using WeChat and play a game of digital poker to unlock discount codes. Customers could avail discounts on purchases made on MK’s Chinese website or stores. “We decided to engage our WeChat audience with something that was fun and unexpected, and that went above and beyond the normal promotional route while still delivering a reward at the end,” – Lisa Pomerantz, SVP Global Communications and Marketing, Michael Kors. The Alibaba Group’s wallet mobile app, Alipay allows users in Hong Kong to make payments via QR Codes. The app links the user’s bank account details with the app. To make a payment, users need to scan a QR Code generated at the billing counter using the Alipay app. 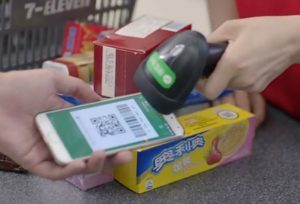 In addition to Alipay, Hong-Kong also uses Faster Payments System (FPS) for QR Code based payments. In Hong Kong, WeChat’s mobile payment app, WeChat Wallet, allows users to make payments via QR Codes. Note: If the bill exceeds 1000 yuan, the user will have to enter his password in the app to complete the transaction. 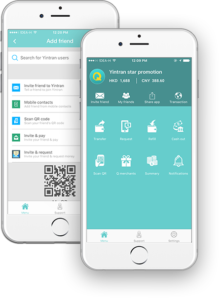 Founded in 2014, Yintran is one of Hong Kong’s latest money transfer app. 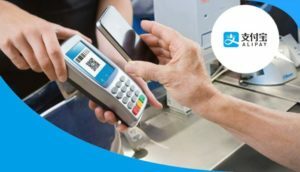 Yintran functions on the lines of Alipay and WeChat wallet. Users can make payments by scanning the QR Code generated on their Yintran app. The amount of the payment gets deducted from the app’s wallet. 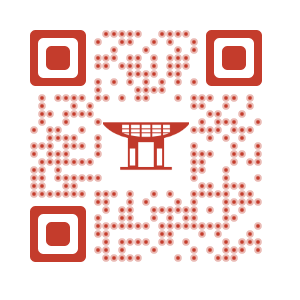 Yintran also allows its users to add friends to their account by sharing their Yintran QR Code. 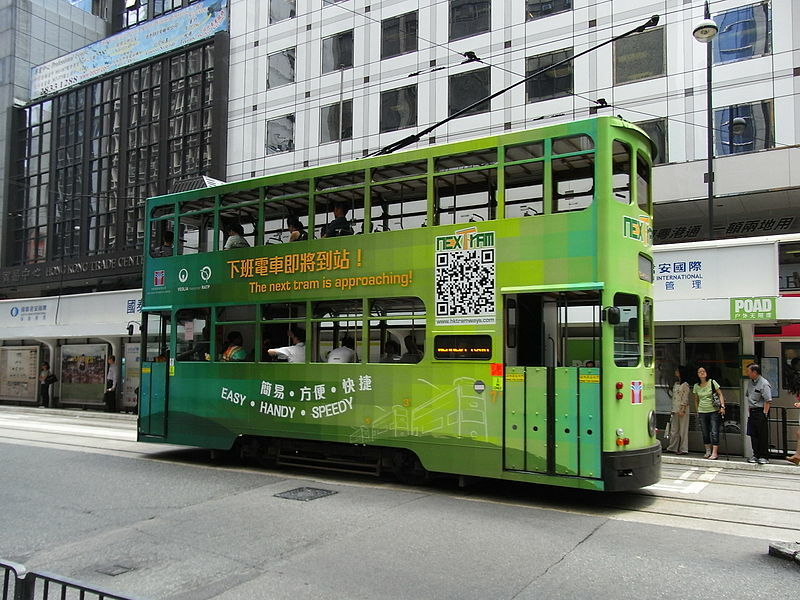 Hong Kong’s Tramway tool Next tram arrival allows passengers to check the timings of the next tram via QR Codes. 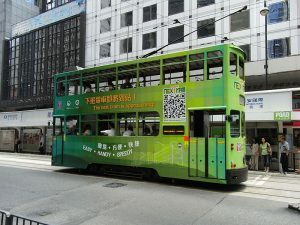 Each Green Tram has a QR Code printed on its exterior. Passengers can scan the QR Code to view timings and destinations of the next three trams. Extra features include viewing updates on disruptions like traffic jams, or accidents on the tram’s route. Also, Hong-Kong tourism board uses colorful QR Codes that act as guides. From the use cases, it seems that consumers in Hong Kong are well aware of what QR Codes are and how to use them. If you are marketing in this region with print media, make sure you add a QR Code.